What are the top landmarks in Coventry? The ruins of an ancient Gothic monument and the grandeur of a modern architectural landmark combine at this fascinating site. Explore the great outdoors at Coombe Abbey Country Park, a lovely green space in Coventry. Attend a football match or simply enjoy the lively bars while you're in the area. See a collection of vintage vehicles, experience the thrill of the world’s fastest car and discover the importance of the automobile industry to Coventry. Ponder the centuries-old legend about a local noblewoman when you view this equestrian statue located in a central Coventry shopping precinct. Enjoy a stop at Coventry Canal Basin, a landmark worth seeing in Coventry. Attend a football match or simply enjoy the top-notch restaurants while you're in the area. Coventry City Centre is a neighbourhood that welcomes all visitors. 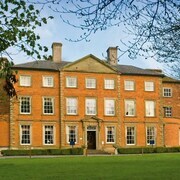 Situated in the historical district, this hotel is close to Coombe Abbey Country Park. Area attractions also include Ricoh Arena and Coventry University. Good price at short notice, clean and tidy with good size rooms. Had a wonderful night's rest. Thank you!! We were greeted very warmly and had a great meal in your restaurant. A great option for tourists of all ages, you’ll find plenty to see and do in the city of Coventry and surrounding countryside of Warwickshire. From castles and cathedrals to stately homes and green spaces, there's everything you need for an enjoyable break. Coventry is the second biggest city in the West Midlands, after Birmingham. It was twinned with Stalingrad during World War II to show local support for the ordinary people affected by the battle in the city. 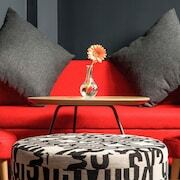 The options for hotels in Coventry vary, from comfortable B&Bs and cosy guest houses to big chain hotels and luxury boutiques, with lots more in between. Whether you’re planning to stay in the city centre, the suburbs or in the surrounding countryside, you’ll find a great range of hotels in Coventry to suit your taste and budget. The presence of Coventry University means there’s also a thriving student population here during term time. Accordingly, you’ll find a good selection of pubs, clubs and music venues all over the city centre. If you’re looking to take advantage of the fantastic nightlife on offer, choose a hotel near Coventry University and you’ll be ready to rock without having to travel far past your doorstep. If you do want to travel further afield, you'll find pretty villages and towns just outside Coventry in the rolling hills of Warwickshire. Small towns, such as Berkswell and Allesley, go back to pre-Norman times, with many even mentioned in the Domesday Book. They make great destinations for a day out, or if you enjoy the countryside you may want to stay in a hotel in Warwickshire. All the market towns and villages around Coventry offer some tasty food options. 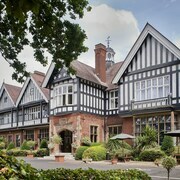 Stay in the Chesford Grange, a family-friendly hotel in Kenilworth, and as well as enjoying a complimentary breakfast, you’ll be just a 10-minute drive from the area’s famed Michelin-starred pub, The Cross. Warwickshire, and Coventry in particular, offer a great range of fine-dining options, as well as more affordable rest stops. The restaurants in the city centre serve up food from around the world – a reflection of Coventry’s multi-ethnic population and cosmopolitan atmosphere. If your taste veers towards more traditional gastro dishes, you’ll find those on your doorstep too – or you could always try the famed dishes at Mister M’s Traditional Fish & Chips. 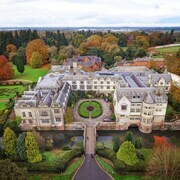 Cocktail bars, country pubs and even a medieval banqueting hall at Coombe Abbey Hotel on the city outskirts are all there for you to try, and you’ll have no trouble in finding a hotel or family-run B&B near the attractions you’re most interested in to suit you. 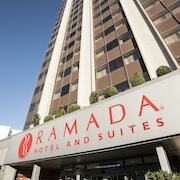 Does Coventry Have Business Hotels? 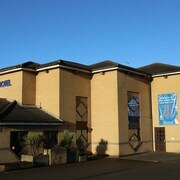 If you’re travelling on business, many of the larger hotels in Coventry offer many of the facilities you might need. 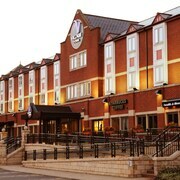 The ibis Coventry Centre is popular with those travelling for work as it features a business centre and free Wifi in all public areas – although most Coventry hotels also offer free Internet connection. How Easy is Getting Around Coventry? Assuming you don’t want to follow in Lady Godiva’s footsteps and ride naked through Coventry on horseback, it’s easy to find regular buses, trains and taxis in and around Coventry. The train station is right in the city centre and can take you to popular nearby spots such as Rugby, Birmingham and Leamington Spa – but if you’re planning to explore the surrounding countryside, it’s a good idea to hire a car for your stay. If you enjoy your trip to Coventry, why not explore the rest of Warwickshire? 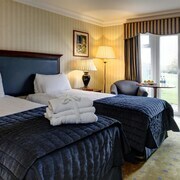 If you want a historical break, stay in a hotel in Stratford-Upon-Avon, the birthplace of William Shakespeare. Or if you want to explore a town full of Regency architecture, choose accommodation in Royal Leamington Spa. Explore Coventry with Expedia's Travel Guides to find the best flights, cars, holiday packages and more!